Hang out with an eccentric little farm cat named Chicken Joe and his friends: King Kong, a parakeet; Miss Kitty, a dog, and a mule named Mister. 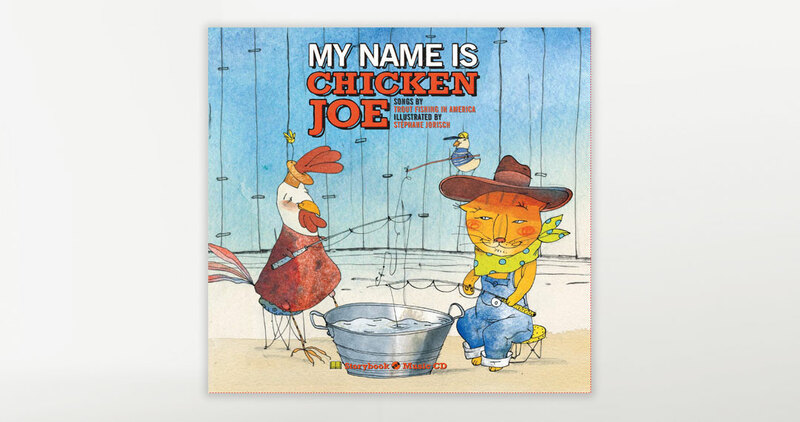 Chicken Joe loves to spend time in the hen house while his friends embark on their own adventures. The charming pencil and watercolour illustrations can be enjoyed while listening to 11 folksy tunes on the accompanying CD, dedicated to Joe’s fascinating world.